My PR, if not political, hero. Thanks Bill! YES. THERE. PR GOLD PEOPLE! 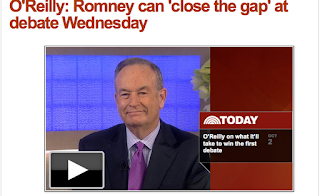 He linked zombie to Romney on national television! With Savannah Guthrie! 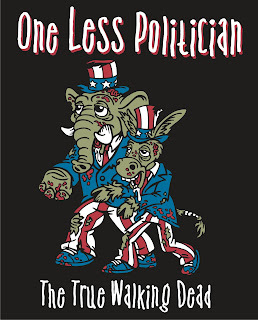 The press release we previously penned linking politicians to zombies hits the net tomorrow! So here's to keeping the volume on, even when you'd rather read about some characters getting it on (or in Sookie's case in this book, NOT.) 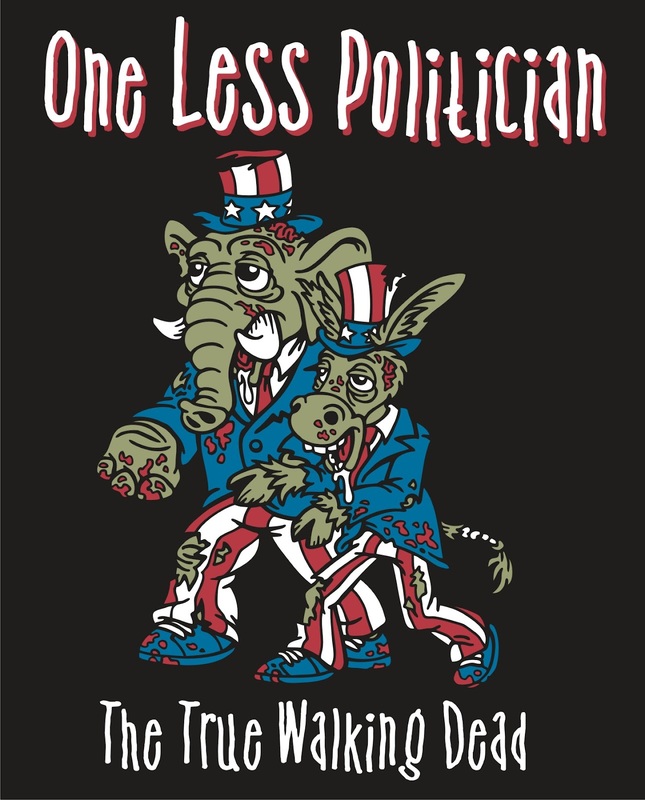 And don't forget to get a One Less Politician, the true walking dead shirt now, before Bill O'Reilly buys them all. Walking Dead season 3 premieres!